This is part one of a two part article discussing how to find “Free” camps in Australia. 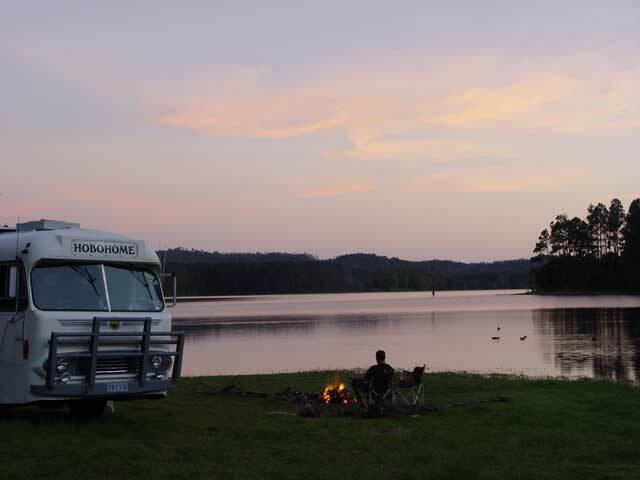 Economics – clearly one of the major benefits of free camping is the cost saving. We have spent a lot of time and money getting our motorhome to the point where we are not dependant on any external services. We carry lots of water, make our own power (solar and wind) and we have everything we need onboard. Therefore, it simply does not make sense to pay for services and facilities that we don’t need or use. The freedom – no forward bookings are required to stay in free camps. They are almost never crowded and there are no huge lists of camp rules to take note of. We have our own, very simple “leave no trace” mantra. People – We find that the people that we meet when staying in free camps are somehow different from the ones that you run into when staying at popular paid camp grounds. This might simply be because they are relaxed and enjoying the same freedom and stress-free life that we enjoy. Space – We have found ourselves staying in campgrounds that are so tightly packed that caravan doors touch the neighbouring van when opened. It is beyond me why people seek to escape cities for holidays that involve being jammed into accommodation that is far more crowded than where they normally live and work. Free camping normally offers space and the ability to be some distance (perhaps hundreds of kilometres) from the nearest neighbour. Remoteness – Australia is a fantastically diverse country with some truly remarkable landscapes. 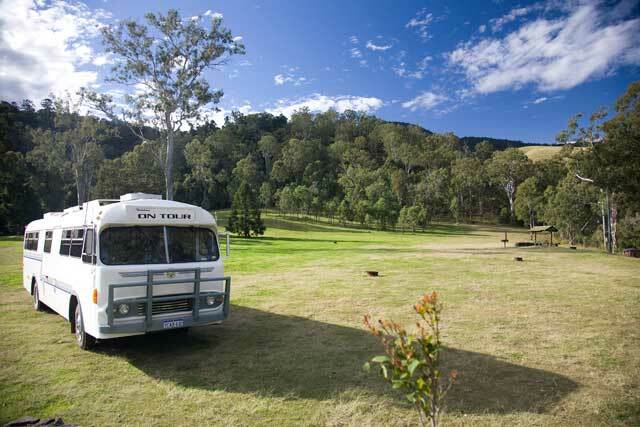 Many wonderful places simply do not feature fully equipped, paid camping facilities. Free camping is the only option if you want to experience these remote places. After travelling Australia in a motorhome for over six years, we think we are pretty good at finding great places to stay. There is no single source, no book and no secret website – experience is a great teacher! Decide what type of camp you need. If we need to be near a city or town to get something done, the places we stay are very different from the ones we look for when we want to relax for a few weeks. When we are looking to earn some money, we head for popular low cost camp areas (we often work for fellow travellers doing electrical repairs, installations and designs). Consult the books – Camps Australia Wide is the most widely used, but there are others. Jan Holland wrote a series of books called “Priceless Camps” covering Western Australia and the Northern Territory. These, while getting a little dated now, are fantastic and we consult and trust these books often. Word-of-mouth. When sitting around a camp fire with other campers, once the subject of “how many fish were caught today” has been discussed, the conversation normally turns to “what great camps have you been to lately”. We are never content with vague directions or maps drawn in the sand. We take very careful note and often pull out a computer based mapping program to pinpoint and mark the spot being discussed (more on this computer mapping system a little later). Ask at the information centres. Take care how you ask the question. Experience has shown us that it is not always just about asking – sometimes it is about how you ask. “Are there any free camps around here?” will often be met with “No – but we have a very nice caravan park just down the road – $45 per night”. Putting the question like this : “We have a fully self-contained motorhome, are there any places in the area where we could park for a night or two?” will often get a far more favourable response. We have even been told by the staff at that one info centre that they are under strict instructions not to volunteer information about free camps in the area unless specifically asked. The facilities – toilets, water etc. Special instructions – is the sand soft? Nearest dump point, where can we get water? Overall rating – we give each site a number between 1 (not good) and 9(fantastic, free beer and dancing girls) – we have never seen a “9” but we reserve the number just in case. Light industrial areas (be prepared to be woken early). We use a mapping product called OziExplorer. This is an amazing, Australian written, piece of software that we have used since long before we started exploring Australia in our motorhome. Unlike the traditional mapping software, OziExplorer will not give instructions, telling you to turn left or right and it is not really well suited to navigating in cities. Where it does shine is in its ability to handle many different types of maps and manage a large list of special places (called waypoints). The program also allow us to transfer these waypoints to our dash mounted GPS unit making it a very simple task to find the nearest camp spot. We have been collecting maps for OziExplorer for a number of years now. These maps are a major source of new “out of the way” places to camp. Simply reading a map and looking at where that small dirt track goes to can provide some great insight into what it might be like to camp there. Many of our maps are so detailed; they even have every house and building marked on them. OziExplorer also interfaces with Google Earth and Google maps – this allows us to switch to a satellite view to examine potential camping spots in more detail before we travel 100kms down some rough dusty track. The Google StreetCar has travelled much of Australia photographing at 5 metre intervals as it went. This can be a tremendous resource for places to camp. You just cannot beat the ability to “look around” an area from ground level before you go there. To see the Google StreetCar view, visit Google mapping and look for the little orange man. In Part Two of this article we will look at places to avoid and some safety and security thoughts. As always, your comments and questions are very welcome! Getting Your Motorhome – Build or Buy? This entry was posted on Wednesday, January 6th, 2010 at 8:40 pm	and is filed under Caravan, Motorhome. You can follow any responses to this entry through the RSS 2.0 feed. You can leave a response, or trackback from your own site. Hey guys, thanks a lot for this resource. I don’t have a motor home yet as well, i’m only 21 😛 but im moving to Perth in a few weeks and will need to camp it (Tent style) until i can find myself a nice place. I’m not really trying to rough it as I’m pretty pedantic about my hygiene and I’ll need to take daily showers, so knowing where I can stay that offers a nearby water source is great. Thanks a lot! I wanted to add a free camp spot which is perfect for families. Barkers Reserve on Jervois Rd, Wellington, SA. It’s on the Murray River, has a beautifully level carpark, playground, 24hour toilet block if required & one of the most gorgeous sunrises over the water, with abundant birdlife. Great little stopover. There is a bbq & the locals are friendly. There is a ‘wilderness camp’ group for schools that use the river access & grass area to take the kids out canoeing & making wooden rafts…nice bunch! There has been many cases of caravan park owners self enforcing non-existing laws for their own gain. It is also too common to see park owners on local councils pushing no camping a agendas for less than valid reasons. I do not know what the laws say in different states, I do know that different local councils have different rules and different levels of enforcement. We never camp in view of houses – they don’t like it and often call rangers. We never park near caravan parks. It just rubs salt in wounds that don’t need salt. We always offer to move on if approached by someone of authority. Arguing never works. We never park in a spot all day, the over night. One spot for day time, another for night time. This probably did not really answer your question, but I hope it helps.